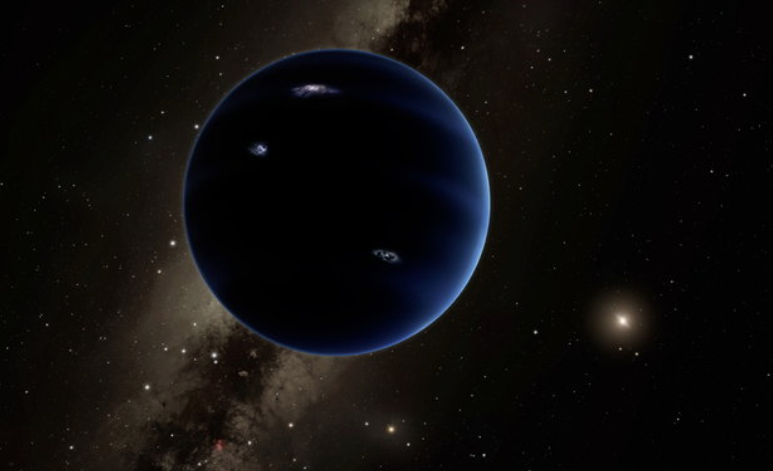 Weird orbits don’t require Planet 9 — The weirdly clustered orbits of some far-flung bodies in our solar system can be explained without invoking a big, undiscovered ‘Planet Nine,’ a new study suggests. The shepherding gravitational pull could come from many fellow trans-Neptunian objects (TNOs) rather than a single massive world. Collision that created our moon may have added life — Scientists are claiming the cosmic collision that made the moon left a host of elements behind on Earth that were crucial for life to emerge. The impact, 4.4 billion years ago, is thought to have occurred when an itinerant planet the size of Mars slammed into the fledgling Earth, scattering a shower of rocks into space. The debris later coalesced into the moon. Beyond an act that shaped the sky, the smash-up transferred essential elements to the Earth’s surface, meaning that most of the carbon and nitrogen that makes up our bodies probably came from the passing planet. Ice deep under the Antarctic — Scientists have found the bodies of tardigrades, algae, diatoms and small crustaceans in a body of water buried beneath over a kilometre of Antarctic ice, according to a news report from Nature. The carcasses originated from either 10,000 or 120,000 years ago during warming periods, after which ice smothered the lake again. ~ All tardigrades are sure to be rejoicing. Or rejuicing, maybe. New system absorbs carbon dioxide and produces electricity and useable hydrogen — Researchers at Ulsan National Institute of Science and Technology (UNIST) and Georgia Tech have developed a new system that absorbs carbon dioxide while producing electricity and useable hydrogen fuel. The new device, which the team calls a Hybrid Na-CO2 System, is basically a big liquid battery. ~ We need to stop producing carbon dioxide, but also clean up what we have already produced. Cheaper artificial compound eyes — Scientists in China have found a low-cost way to create lenses mimicking the compound eyes of insects. Dr Wang Wenjun and colleagues at Xi’an Jiaotong University fired a laser through a double layer of acrylic glass, focusing on the lower layer. The laser caused the lower layer to swell, creating a convex dome shape. Artificial cells the can communicate with each other — Scientists around the world are working on creating artificial, cell-like systems that mimic the behavior of living organisms. Friedrich Simmel and Aurore Dupin, researchers at the Technical University of Munich (TUM), have for the first time created artificial cell assemblies that can communicate with each other. The cells, separated by fatty membranes, exchange small chemical signalling molecules to trigger more complex reactions, such as the production of RNA and other proteins. ~ Ah, the rise of the micromanipulators! Porphyromonas gingivalis, the key bacteria in chronic gum disease, may be causing Alzheimer’s — Gum disease affects around a third of all people. But the good news is that a drug that blocks the main toxins of P. gingivalis is entering major clinical trials this year, and research published Wednesday shows it might stop and even reverse Alzheimer’s.